Economic activities play a huge role in property prices. Availability of jobs and potential for entrepreneurship play a critical role. A keen eye on the disaster-prone areas tells of a region buzzing with economic activities and a dynamic population. With jobs comes the need to settle. The West Coast attracts young technocrats and a vibrant community of millennial's. Their appetite for rentals is putting pressure on existing units as demand far outweighs supply. Investors see this as an excellent opportunity to put their money. Immediately after disasters, there is a shortage of available units in the market. Displaced people are looking for Texas real estate, to rent or buy. Before restoration is complete and the insurance companies pay out, the crunch is high, which brings forth higher prices. The average price of a home in very high-risk areas is $325, 000, which is modest if you consider some of the benefits that come with these homes. They include warmer weather, ocean or a mountain view, proximity to commercial districts, among many others. The risk plays a role in the pricing to keep the cost modest. In the same market segment, it might interest a discerning investor that not all classes of property appreciate highly. In areas considered safer, the market segment is very fluid. Some studies show homes over $500,000 do better than those below the mark do. Investors are buoyed by the existing insurance plans that cover most of the major cities. Despite the heavy losses incurred by insurers in the recent past, none of the insurers seems to be interested in opting out of the coastal and more vulnerable areas. They have increased the premiums significantly, but they are still very much into the market. Growth in rental income occasioned by increased demand for rental units is the key driver here. However, rental income is subject to maintenance costs, service disruption, occupancy, and taxes. The presence of many emerging businesses in these regions is a factor. Growth in the office apartment blocks is healthy thanks largely to the ecosystem created by the business community. 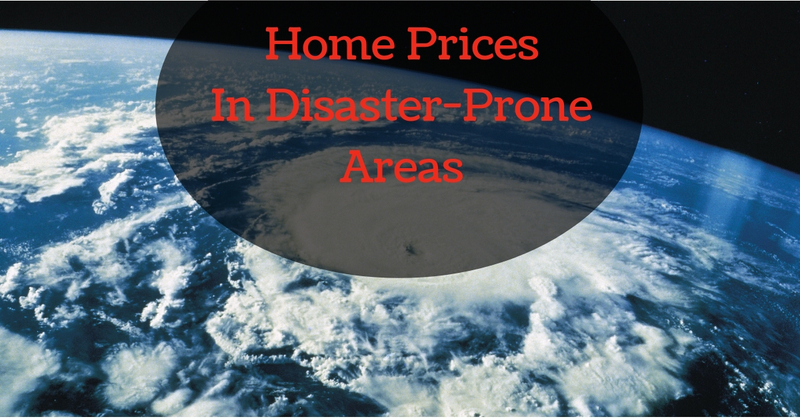 Homes near affected regions have the highest market spike in rental revenues and prices. The perception that they are safe gives them a market boost. Safety-conscious buyers such as seniors are willing to pay a premium for those properties. It seems that people are not ready to abandon their jobs and source of livelihoods because of disasters. With the insurance working, the regions will continue to attract investors. So go ahead, live life on the edge… literally. For more information about buying or selling a home in a disaster-prone area, contact your local Realtor.